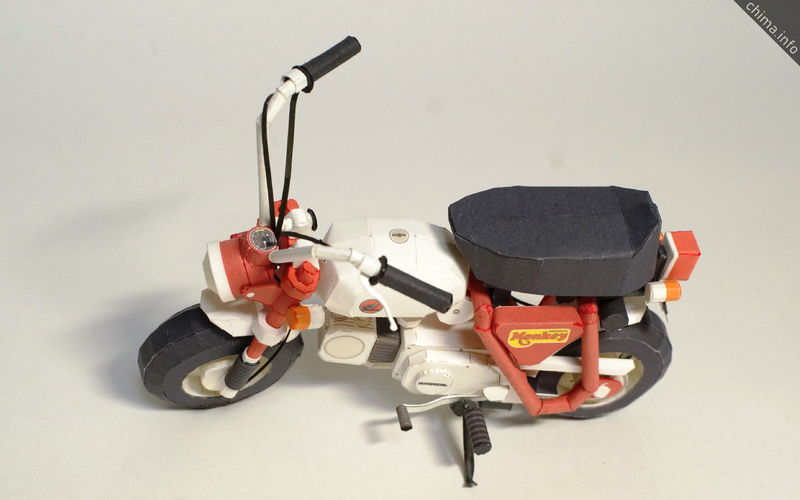 Honda’s mini bike, Monkey is reproduced in a paper craft. 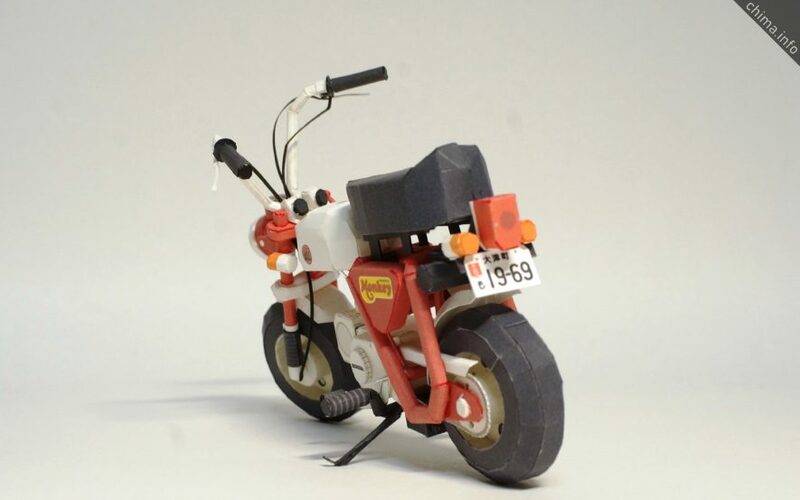 Z50A is Early model of Monkey series　which has Rigid suspension system. Print on A4 size paper, 2 sheets. 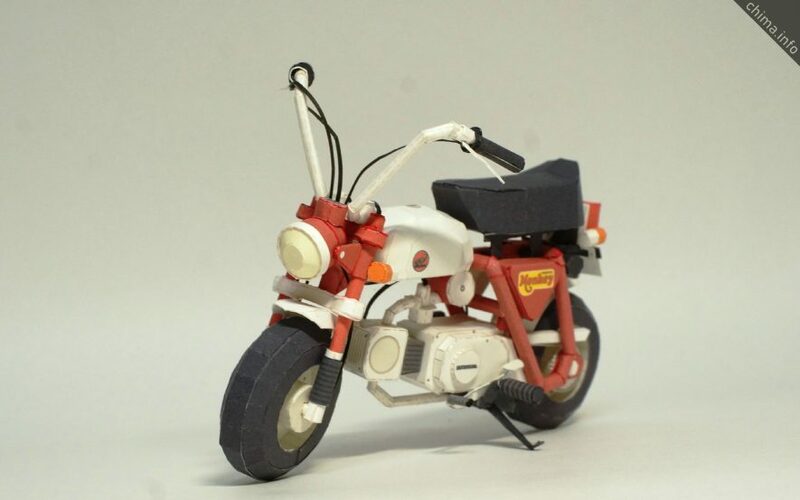 it will build up to about 11 cm.